Get the latest training insights in your inbox for free. Training Industry publishes exclusive news, research, articles and other resources for the corporate learning and development leader. Subscribe for free. Modify or cancel your subscription at any time. 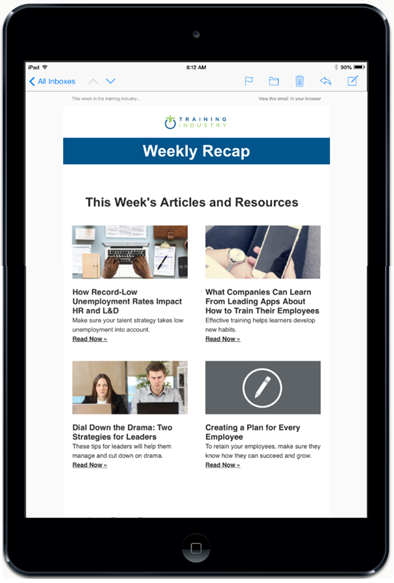 Weekly newsletters with articles, webinars, and industry news on the training topics you choose, including e-learning, learning technologies, content development, leadership training, and more. Invitations to attend free live Training Industry webinar events. Announcements of new, original Training Industry research reports.